In this instalment of our contact centre manifesto series, we investigate how Voice of the Customer (VoC) data can encourage change throughout your business. The data is there – who’s using it? Contact centres have access to one of the best resources a business could hope to get – Voice of the Customer (VoC) data. By putting this to use, enterprises have the ability to read deeply into what motivates customers, including buying habits, where products need to be improved, complaints triggers, promoter scores, and more. Technology like interaction analytics makes it more accessible than ever, but unfortunately, this resource is largely squandered. While some companies have learnt how to harvest this data source and feed it back into the business, many more simply sit on it. The role of the contact centre has changed dramatically in the last two decades. It’s going to keep changing, and the next major shift will be how it deploys the information it gathers. While currently seen as cost centres among the wider business – a necessary evil – contact centres will increasingly be needed to provide detailed insight. Customers get in touch because they have problems that need to be solved, problems that usually originate in some other branch of the business. Helping other departments improve their approach needs to become a fundamental role of the contact centre. This should be a win-win scenario for all involved, increasing customer loyalty while helping contact centres reduce call volume. It’s clear that a new kind of relationship needs to be built between the contact centre and the rest of the business. Deep structural change does not happen overnight, and you might encounter resistance. Asking heads of department to take on more work or change their practices is a hard sell. 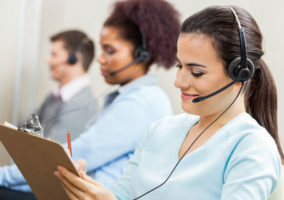 They might not appreciate the wider value that could be created for the business, and they may even feel that the contact centre exists to deal with problems that they create. This is why it’s essential to get buy-in from the people with a more holistic view of business performance, above the departmental level. If necessary, take this issue to the company CEO and turn the project into something that can’t be ignored. “CEO involvement is about more than project sponsorship; it’s about connecting up data and processes. Getting buy-in is as simple as demonstrating how benefit outweighs cost. Getting buy-in from the highest level of business is how you will get started, but to maintain a project you will need the enthusiastic support of your colleagues too. This kind of support might be easier to get if you are involving colleagues rather than briefing them – or lecturing them. That’s far from the only benefit of spreading your efforts. An interdepartmental team will have a much easier time feeding change back where it needs to go, and a better understanding of what shapes processes. For example, perhaps there is a lot of complicated legal language in your billing that drives contacts. You might like to remove it, but what if this is part of regulatory compliance obligations? It would be better to have that kind of information from the beginning. Staff secondments are another tool that helps individuals in various areas of the business establish a greater understanding of wider issues. Senior directors often voice the need to avoid silos in the contact centre, and allowing staff to move more easily through the company makes silos easier to spot and to address. You can also collaborate to create a much more detailed understanding of your processes and how they interrelate. 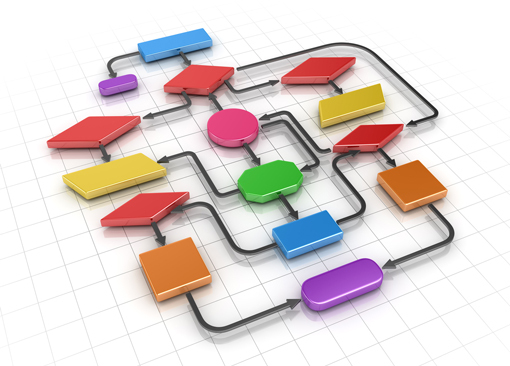 In particular, a process-flow diagram is both a great teaching tool for agents and a way for each department to easily understand the processes of the others. The aim should be to create a visualisation that confirms a solid process for any eventuality. You don’t need to contact a colleague every time you have a process question when you can refer to a simple diagram. At the same time, writing out processes can highlight the ‘baggy’ areas, where they are needlessly complex and lengthy. Once you have process-flow diagrams, you can associate them with call drivers, which will enable you to identify where the process bottlenecks are. Driving data insights back into the business starts with establishing a unified view of what the data says, and what it means. That’s why the creation of simple visual tools is beneficial – you can’t force colleagues to use what you provide, but it’s up to them to explain why they would ignore resources that have been made available. It’s also true that the contact centre doesn’t have a monopoly on VoC data, and that you stand to benefit from their initiatives as well. And remember, VoC isn’t all about complaints and what needs to change – it’s also about confirming the areas where performance is great, and building on that. The first thing is to distinguish between ‘accountability’ and ‘blame’. It’s not helpful for this kind of activity to become accusatory. Departmental tribalism needs to go on the back burner while you work to add greater value to business practice and increase the prominence of the contact centre in decision making. “A situational example: A contact centre director gets beaten up every Monday morning by the board about the drain of cost that the contact centre is on the business. “The following Monday, the director goes in and instead says everything is fine with attendance and schedule adherence… But we are currently dealing with an unexpected spike in calls due to the actions of the man on the other side of the table who started a marketing campaign without letting us know! So how should you approach this? When groups within the business have processes that drive contacts, they need to know about it. In theory, they should be keen to hear what you’ve got to say, so they can build that information back into their own success. As we’ve already touched on, this doesn’t necessarily hold up in practice. All you can do is make your intentions clear – improving business processes and the customer experience. Play department heads recorded calls that their campaigns have generated. Make it clear that these are not one-offs, and there are plenty more calls on the same topic. Putting a name and a real experience to the situation will reinforce the point and underline the fact that customers are actually being driven away. Start tagging calls against the department where the issues originate. It might take some effort to set this up, but the result will be firm data on the worst offenders. You can display this data in your office and present it in meetings, where it will make a clear statement about who needs to change their approach. Calculate the cost of the interactions each department drives. You can offset this against the amount of revenue each department supposedly generates for a more complete picture of their value. 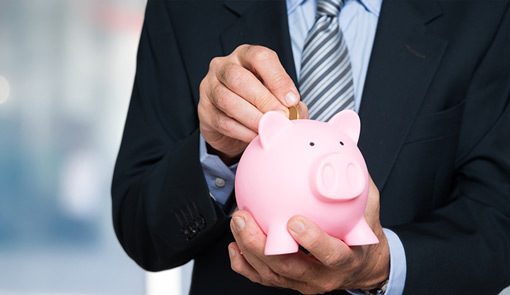 You might even be able to recommend a new model of contact centre funding which is sourced proportionally from the operations budgets of other departments. Stress the point that you are not trying to reduce contacts because it will make your life easier – you’re doing it because a lot of contacts indicates a lot of unsound practices. We’ve established that the data from a sustained VoC project is only worthwhile if it informs business practice. Too often there is significant disconnect between the data, the projects they spawn, and actual day-to-day practice. The relationship between these three elements forms the ‘VoC cycle’. The implementation of VoC lessons is sometimes discussed as if it were a one-off project, which might explain the kind of knee-jerk reactions business have. In practice, the data should continually be informing projects to improve customer experience and the practice of operations teams. 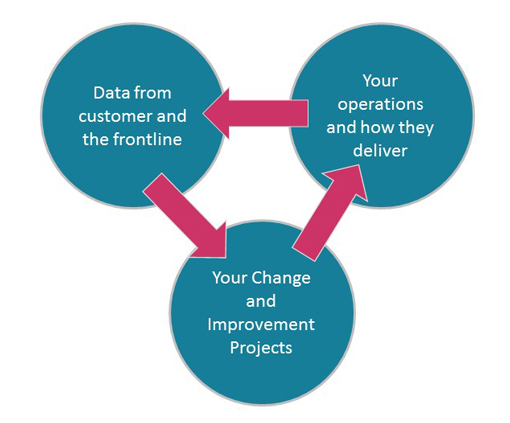 Fixing VoC projects means establishing which part of the cycle has fractured – data that isn’t getting analysed, analysis that isn’t shaping projects, or projects that don’t improve customer experience. “A lot of organisations end up with lots of projects that make no difference, operations people getting swamped with projects, or changes going ahead that customers don’t care about. A robust VoC project will gather data from every part of the customer journey. Much of this will be from ‘natural’ interactions like call recordings. The contact centre automatically collects a great deal of data that it can draw on, but an involved analysis means posing specific questions to customers. “This insight needs to come from a combination of sources, including customer survey feedback and analytics. The data will need triangulating to work out exactly where the root of the problem lies. Here are some ideas for performing surveys that return useful and actionable results. How long after an interaction should you wait before sending a survey? Well, it really depends on the interaction. If the customer places an order and won’t receive their item for another week, is there really any point surveying them straight away? It makes more sense to wait until their purchase has arrived before you ask them for feedback. On the other hand, response rates for post-interaction SMS surveys will probably be low if you wait two weeks to send them. “If you’re measuring a touchpoint it’s fine to survey immediately after that, but set some rules to make sure you’re not surveying the same customers time and time again – particularly if they have a problem and are repeatedly calling to get it fixed. When asked if agents should decide who gets surveyed, most industry insiders give a firm ‘no’. Yet there are still some environments where this is the norm. The bottom line is that agents are only human, and they respond to incentives. Their bias, even if it is totally unconscious, will badly affect the quality of your data set. Don’t put them in that situation, and make sure that surveying is either truly random or linked to other triggers beyond the agent’s control. How many questions is the customer really going to answer? As a rule of thumb, three questions is the most customers will answer in post-call IVR or SMS. For other formats a five-question cap is sound, and ten should be the absolute upper limit. It helps to tell the customer in advance how many questions are in the survey. That way, nobody starts filling it in with false expectations about the time commitment they are making. The first thing to bear in mind is who you are addressing your questions to. You’ll get a better response rate if there is a strategy guiding which customers you reach out to. Obviously, surveys should be appropriate to the experiences of the customer. There’s no point asking about facilities that they may not have used, such as self-service portals. You can base the questions customers receive on their customer journey – are they new, are they making their 10th purchase, or their 10th complaint? You can also use wrap-up codes and text analytics to match customers to different surveys. One of the quickest ways to put off a customer is to ask them to supply information that you should already have. They might be willing to answer three simple questions but unwilling to fill out an unnecessary contact form. You also need to have a good sampling strategy to make sure you’re not surveying the same groups too frequently. 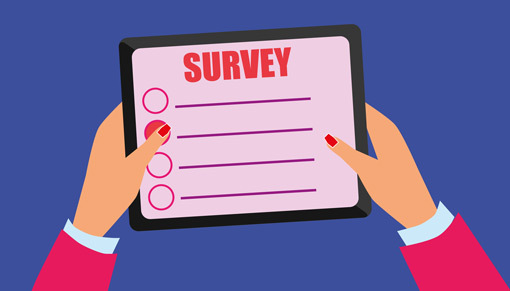 There’s no ‘best way’ to gather survey data – it depends on your resources, the size of your customer base, and the kind of information you need. But you do need to think about what the customer is likely to be doing when you make contact, and whether it’s appropriate to get in touch. Avoid mandatory questions, or at least include an N/A field in case the customer can’t answer. It’s always worth including a text field where customers can write whatever else they need to – this is frequently the most useful part of the entire survey, because it covers the things you didn’t think of. Your survey questions should be clear and to the point. A customer might receive great service from an agent but still not get what they expected from your business. 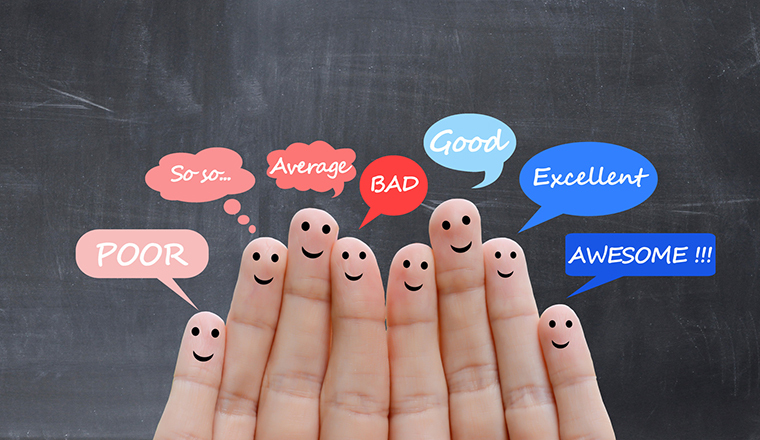 Negative survey feedback is a blessing in disguise. When you receive an unflattering response from a customer, that’s when you should be most glad that you made the effort to survey. If you find out that a customer is not happy, that’s your cue to get involved. Many businesses gather data, but not all of them know how to act on it. 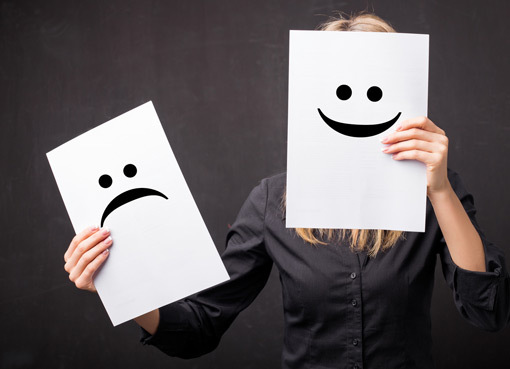 One of the key reasons to survey customers is the opportunity to turn a negative experience into a positive one. “If anyone leaves a negative comment a senior team member gets back to them. Calling back the unsatisfied customers boosts retention and helps the team to understand what the specific problem was and what caused it. 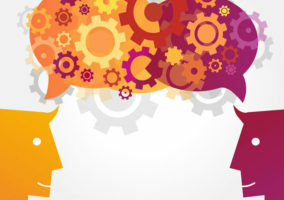 Another great way to get customer feedback is by hosting a focus group. You can find out more about how to arrange that here. VoC is not a one-off campaign that you later discard. It’s an ongoing process that not only integrates data into the wider enterprise but changes what the contact centre is there for. The broken theory is that contact centres are the remote part of the business that handles complaints. But in reality, the contact centre is the customer-facing branch of every other department. Managers need to recognise that the strategies of IT, Marketing, or Sales are necessarily part of the contact centre strategy too. This shift in attitudes has to originate in the contact centre itself. Everyone from frontline agents to the director of customer service must put aside the habitual understanding of what a contact centre is for and start thinking about what other functions it can serve. “Marketing is acknowledged as a profession in a way that the contact centre isn’t yet. “They’re good at making a demonstrable claim to success, and have been able to establish themselves as a discipline. “Contact centre operations tend to focus on ‘cost down’ behaviours of doing more for less, whereas Marketing will talk about revenue and generating demand. We need to communicate the risk to revenue, customer journey and reputation when budget cuts are on the table! The bottom line is, and will always be, to listen to your customers. It’s not all the time that the agent would be mindful of the buying signals and other implications on how the customer regards the company and their product(s) and/or service(s), but you’re right when you said management and team leaders should step up and help looking for ways to investigate those. The VoC is one data contact centers should not ignore if they want a more effective process and higher customer satisfaction rate.